Tokyo, March 2, 2016 – Fuji Heavy Industries Ltd. (FHI), the manufacturer of Subaru automobiles, today announced that total production of its All-Wheel Drive (AWD) vehicles has reached 15 million*1 units. The milestone was achieved in the 44th year since FHI started producing AWD vehicles with the introduction of the Subaru Leone 4WD Estate Van in September 1972. In 2015, AWD models accounted for 98%*2 of Subaru’s global sales. 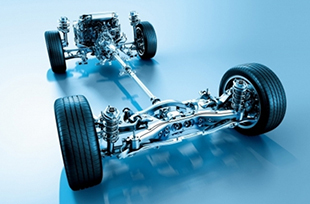 Fitted with the horizontally-opposed “Boxer” engine, all of these AWD models featured Subaru’s distinctive Symmetrical AWD system. *1 Includes AWD systems that are not the Symmetrical AWD.